CARFAX One-Owner. Clean CARFAX. 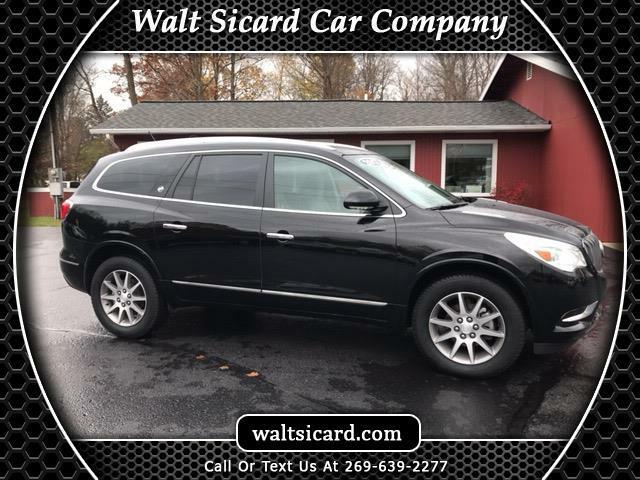 Ebony Twilight Metallic 2017 Buick Enclave Convenience Group FWD 6-Speed Automatic Electronic with Overdrive 3.6L V6 SIDI VVT 2017 Buick Enclave Convenience Group in Ebony Twilight Metallic, Sought After Options Include, FWD, Exterior Parking Camera Rear, Preferred Equipment Group 1SD.